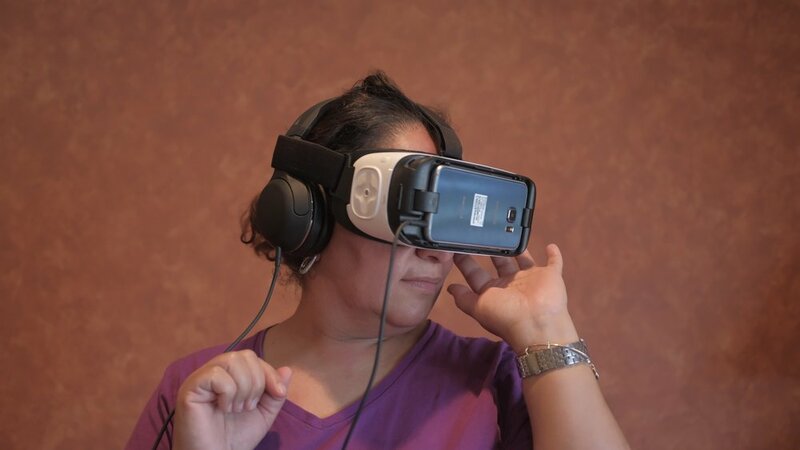 The Family Reunions Project (FRP) is an initiative exploring how technology can challenge borders and reshape the way we think of immigrants’ transnational lives. (ee-moh-sh), a 360 immersive experience as we embody a water droplet through its migration journey while it crosses the desert and encounters hostility at an unnatural border. Leaning on the memory of our origins as rivers and oceans, we call upon our histories to help us defy man-made forces of adversity that disrupts our journey. Created by Mehtap Aydin, Sultan Barodawala, Marco Castro, Leslie Martinez, Peter Pa, Jess X Snow, Frisly Soberanis.